Everyone should afford themselves some leisure time, but be careful not to fall into a lazy trap. But April, aren’t they the same thing? No, there is a huge difference between spending your time leisurely and spending your time lazily. Leisure has purpose. When you are allowing yourself leisure time, you are focused on your enjoyment, whether that’s reading, fishing, hiking, doing whatever you need to do to give you some purposeful downtime. Laziness is nothing. It’s idleness that doesn’t do anything for you. Another difference is reward. Leisure is something that you earn. Laziness is more related to procrastination or boredom. Life’s too short for boredom. Be intentional with your time. Spend it wisely. Your off time should be spent doing something you actually enjoy, something that gives you a positive boost. And be mindful during your leisure time. Get the most out of it! Some of my favorite leisurely activities are hiking, kayaking, reading, writing, and coloring. What do you do in your leisure time? 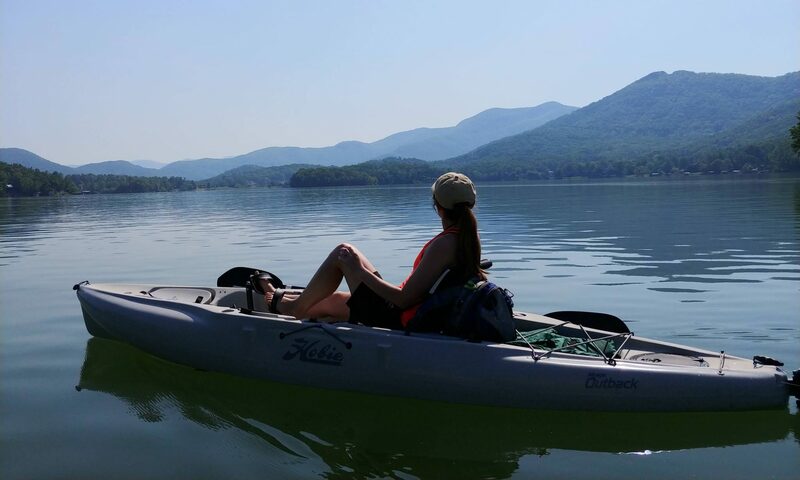 Combining two of my favorite leisurely activities – Kayaking and reading!